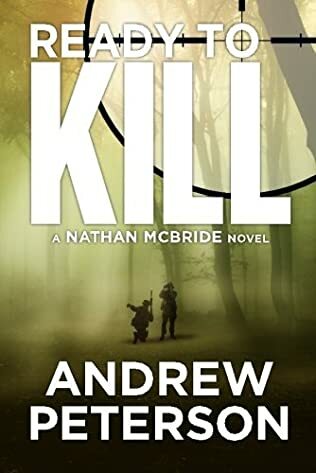 Andrew Peterson is the author of the Nathan McBride military thriller series. I came across this writer’s name while looking for books by authors in the same genre as Lee Child, Mark Greaney, Ben Coes, Tim Tigner, and many others. Once I got the first book, First to Kill, I couldn’t wait to read it. And by the end of the story, I ordered the rest of the series. I was hooked. 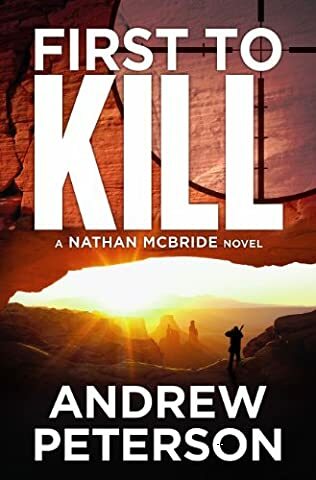 Andrew Peterson has an engaging writing style, the main character, Nathan McBride, is tough as nails, with a lot of baggage in his past, and the stories in each book are quite addictive if you like this genre. 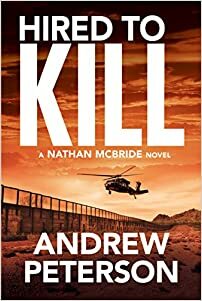 So here are the Andrew Peterson books in order for his popular Nathan McBride thriller series. The book list is updated with new releases as soon as we hear about them from the author or publisher. The author Andrew Peterson (not the musician Andrew Peterson!) was born and raised in San Diego, California. He attended La Jolla High School, and after graduation, he enrolled at the University of Oklahoma, from where he graduated with a Bachelor of Science Degree in Architecture. He first started writing in 1990. He sold his first short story in 1992 to San Diego Writers Monthly. The story was titled Mr. Haggarty’s Stop. It was only after 2005 when he met Ridley Pearson at the annual writer’s conference that he decided to become serious about writing book. He was looking at writing books about Nathan McBride, a tough Marine scout sniper and former CIA operations officer who was badly tortured years ago, and who was feeling the aftereffects of that torture even today. In 2008, Dorchester Publishing picked up the first book and released it in the mass-market paperback edition. After the publisher went out of business, Andrew Peterson got back the rights of his book. A few years later, in 2011 the author Andrew Peterson started working with Thomas and Mercer. Next, in 2012, his debut novel was re-issued in multiple formats, including trade paperback, eBook, and audiobook. 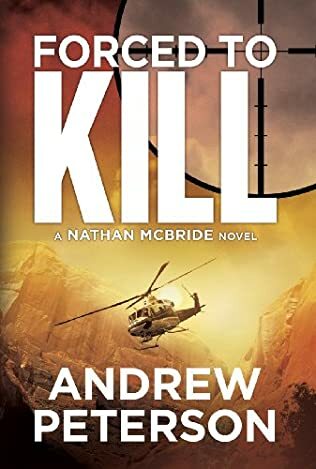 First to Kill has been translated into at least seven languages and sold in other countries as well. 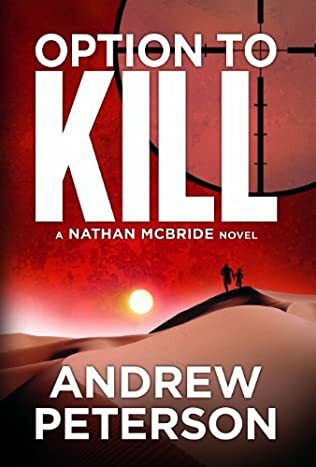 So far each Nathan McBride book has featured the word “Kill” in the book title. In 2011, Andrew Peterson traveled with other authors like Sandra Brown, Kathy Reichs, Clive Cussler and Mark Bowden to Afghanistan as part of the 2011 USO tour, where he had a chance to thank the troops for their service. As part of his contribution to the troops, Andrew is constantly donating books to those serving overseas, and so far he has sent over 3000 books to them. Andrew Peterson is an accomplished marksman, and he has won many competitions throughout the Southwestern US. Currently, Andrew Peterson and his wife, Carla, live in Monterey County, California, with their two dogs, where he is busy writing his next Nathan McBride thriller. 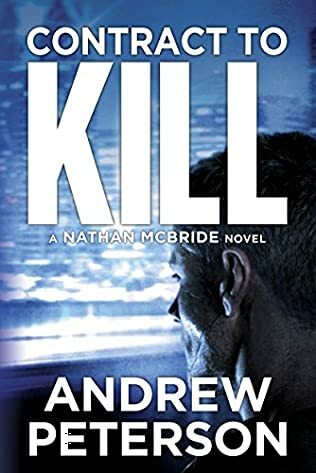 The Andrew Peterson books about Nathan McBride can be read out of order, although to get the gist of Nathan’s character traits and his evolution from book to book, it is best to read them in proper chronological (and publication order). However, if you’ve started the series out of order, it’s not big deal. The author adds enough detail about Nathan (including his physical description) that you will be up to speed with the character in no time. Nathan McBride is the hero of the Andrew Peterson books featuring the complex character with a dark past. Several years ago he was brutally tortured which left him both with physical and psychological scars. For example, his face has a huge scar in the shape of N, and that is a source of stares from everyone he comes across for the first time. Also, he is often not sleeping well, has nightmares, and moments of his torture return at any given time. At the same time, his deep torture gave birth to a dark entity within himself that he is now keenly aware of. That entity that Nathan called the Other thrives only on hatred and is only allowed out when the time is right. Nathan can’t watch violent movies to this day. Nathan was trained as a Marine Corps scout sniper, but he has retired from the CIA to start a private security company with his friend Harv. In the first book, a cryptic message gets back Nathan into action and to the very place he once was tortured at, in the jungles in Central America. 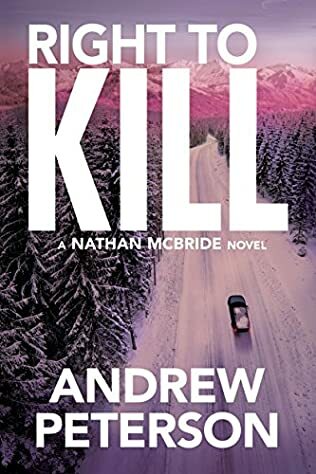 The Andrew Peterson books are fast-paced, and Nathan is always in the middle of some action – usually not initiated by him. People in need contact him, and his code of honor pushes him to help those people, usually with dire results for him. Nathan’s best friend and partner is Harv, a person who is overprotective of Nathan, so much that he seems obsessive so. At the roots of his protectiveness is the very mission where Nathan was captured and torture, while Harv got away. It took him several weeks until he found him and saved him; by then Nathan was at the brink of death. Now, Harv is like a mother hen to Nathan, something that at times Nathan finds funny while other times annoying. Their bond is so strong that each would be ready to die for the other one. Sometimes it feels like each knows more about the other than about himself.